IMPORTANT: Please note that tuition hours are no longer allocated and regulated by each unit. It is vital that both students and tutors download and read the updated ATMP Guidelines. The Aboriginal Tutorial and Mentoring Program (ATMP) aims to improve the educational outcomes of Aboriginal and Torres Strait Islander students in tertiary courses to the same levels as those for non-Aboriginal Australians. It focuses on developing students’ self-directed academic learning. The ATMP was formerly known as the Indigenous Tutorial Assistance Scheme (ITAS). The ATMP, funded through Edith Cowan University’s (ECU) Indigenous Student Success Program (ISSP) and reports directly to the Department of the Prime Minister and Cabinet, covers the cost of engaging tutors to provide academic and study skills assistance over a semester, with the intention of guiding students to direct their own learning. Students will be matched with a qualified tutor and will receive a certain number of tuition hours for the semester, depending on the level of their course and study load status. The Centre for Learning and Teaching now facilitates the ATMP for Australian Aboriginal and Torres Strait Islander students at ECU. The program is part of the Learning Support Team, who provide a range of student services and supports that are listed within the Academic Skills Centre Blackboard Community Site. Who is eligible to apply for the ATMP? All Australian Aboriginal and Torres Strait Islander students who are currently enrolled internally or externally, full-time or part-time, in the University Preparation Course or Indigenous University Orientation Course; undergraduate degrees; postgraduate degrees and VET courses at ECU are eligible to apply for the program. Hours are allocated per student, not per unit as in previous years. The number of hours available depends on course type and on study load status (full time or part time), as in the tables below. Download the Student Application (Form A) or pick up a hard copy from the Kurongkurl Katitjin reception on the Mount Lawley campus. Completed forms can be returned by email at atmp@ecu.edu.au (a clear photograph is fine). NOTE: Student applications for Semester 1, 2019 close on Friday 22 March 2019. NOTE: Tutor applications for Semester 1, 2019 close on Friday 22 February 2019. IMPORTANT: Students and Tutors please ensure you have read the ATMP Guidelines before you apply for the program. It is a requirement that you understand and agree to the conditions of the program before signing and submitting your application. 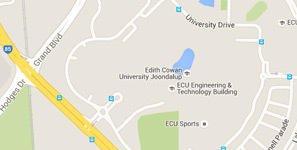 All enquiries should be directed to the ATMP Coordinator at atmp@ecu.edu.au.